The Chattanooga Convention Center was built by the city of Chattanooga and Hamilton County to attract conventions and generate economic impact for the city and county. It is located in the heart of downtown Chattanooga and is within a day’s drive of more than half the population of the United States. The Chattanooga Convention Center serves the convention industry with superior service and amenities. 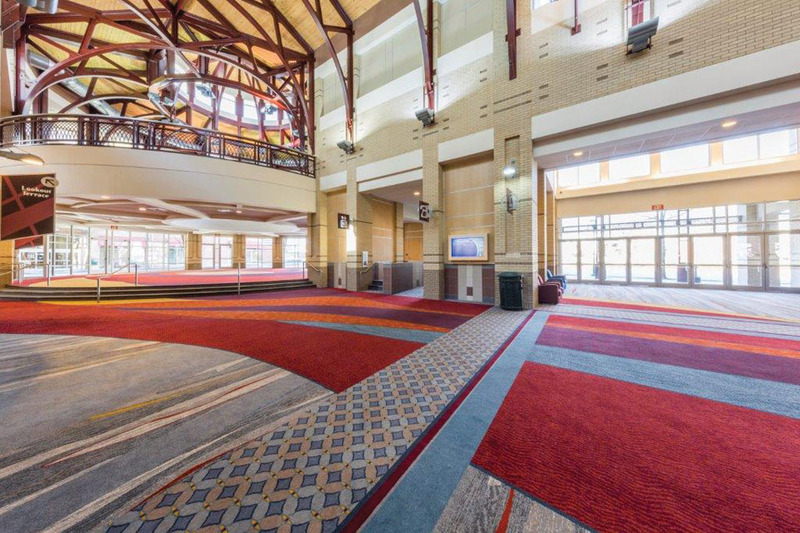 From the open contemporary layout of the pre-function area to the expansive exhibition, meeting, and banquet spaces, the Chattanooga Convention Center represents a refreshing environment for any event. Encompassing two city blocks, it offers 100,000 square feet of column-free exhibit space and 80,000 square feet of ballroom and meeting space, all on a single level. The Center can accommodate functions of any size. The Chattanooga Convention Center is one of the nation’s top “green” convention centers, with unique features such as passive solar natural lighting, natural ventilation, and many other energy efficient and sustainable practices that reduce the carbon footprint. The Convention Center prides itself on its in-house food service. Meals are enhanced by a “farm to table” program that utilizes local farmers, bakeries and even local coffee shops. This allows the chef and culinary team to use the freshest produce and ingredients available, resulting in an outstanding dining experience while, at the same time, helping to promote the local economy. Chattanooga was the first city in the nation to offer gigabyte internet connectivity city- wide. In keeping with Chattanooga’s reputation as the “Gig City”, the Chattanooga Convention Center provides complimentary Wi-Fi throughout the facility. This enables both event planners and attendees to stay connected at a substantial cost savings. The Center is located in the heart of downtown Chattanooga. It lies between the eclectic shops, eateries, and night spots located on Main Street and the Riverfront which is home to the Tennessee Aquarium, expansive green space, and even more dining options. Event attendees have plenty of opportunities to enjoy everything from outdoor activities such has hiking, kayaking, and biking, to area attractions. The Center is served by the city’s complimentary electric downtown shuttle that stops just outside its doorstep. 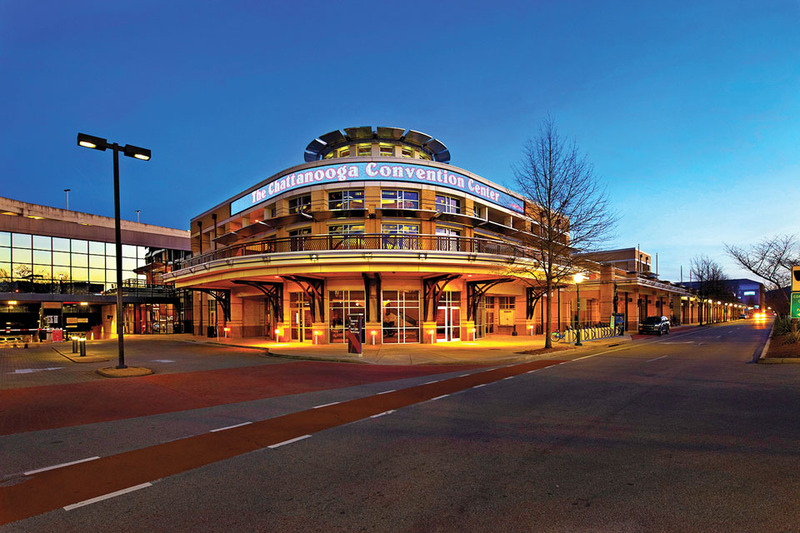 With its combination of incomparable service, modern amenities, and a prime location in an exciting, dynamic city, it is easy to see why the Chattanooga Convention Center has become the facility of choice for discerning meeting planners.